1. Always pay your bills on time. At its most essential, this is what good credit is all about. When you’ve established yourself as someone who can consistently pay what you owe, you prove you are a responsible credit user. Also, the longer you’ve been paying on time, the better. 2. Pay down debt. If you haven’t been paying your credit cards on time (thus the problem with your credit in the first place), the best way to repair the damage is also the simplest: pay down the debt! 3. Apply for cards when you need to. It’s a common misconception that having many cards = better credit. In reality, the key is establishing good credit over time, and that’s why it’s not smart to open lots of cards at once. 4. Know the facts. Did you know paying off a collection account won’t take it off your report? Not for seven years. 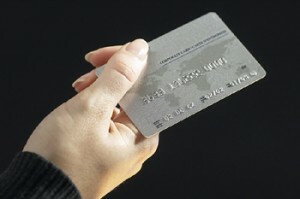 Did you also know closing unused credit cards can possibly lower your score? Knowing these things can make a difference in how you approach credit. 5. Check your reports. Want to know what your current credit report reveals? The Fair Credit Reporting Act requires three reporting agencies—Equifax, Trans Union and Experian—to provide you with an annual report, free of charge. For more information, click here. 6. Dispute errors. One of the reasons it’s such a good idea to check your credit is that there may be errors affecting your score. When you check your annual reports, be prepared to dispute any incorrect items. » Return to Multigenerational Housing?